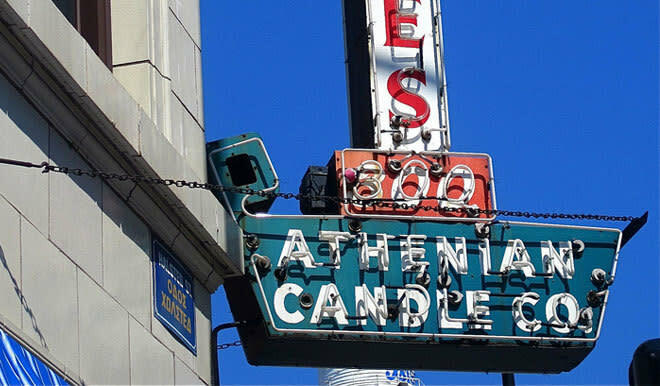 The Athenian Candle Company is a family owned venture. It was established in the year 1919. The candles sold here are specially hand crafted and manufactured at the backyard of the shop. They also make candles for the city's orthodox churches. This store also offers every other sort of religious and pagan merchandise, including jewelry, mojo bags, myrrh and frankincense, Buddha statues, protective herbs and oils, sprays, soaps, holograms of the pope, portraits, Greek and Turkish 'evil eye' stones, tarot cards, books and many more interesting things.